China Glaze Bahamian Escape – is a bright baby blue pastel neon creme finish polish – those were a lot of adjectives huh? lol. This is one of my more unique colours in my entire collection, I got it about two years ago and that might be why the writing is starting to rub off on the bottle but that being said – there has NEVER been a time when I have worn this as either a manicure or pedicure and someone hasn’t stopped to ask me what I am wearing. While I LOVE blue nail polish -I have always been shy to try baby blue of this sort only because I don’t think it compliments my skin tone as do corals, reds etc do but for this baby blue is the exception (along with Essie Borrowed and Blue but that’s for another blog post lol)! I’m including more pictures than usual because it was hard to capture both the neon aspect and the pastel undertone. It is a gorgeous baby blue nail polish and it is NOT like any other baby blue polish on the market – believe me I searched for the perfect one for my skin tone and I believe this one will reign supreme (for now). The application is the only thing that bugs me about this polish and I am beginning to understand that while I LOVE China Glaze polishes – I am NOT a fan of their brushes – it is too spiky and it does not have a smoothness to the brush heads therefore when I apply polish with it – I always end up with pools of nail polish running towards my cuticles. If I don’t use as much polish in between coats, I end up having a patchy mess and almost 4 coats of nail polish. Which 9 times out of 10, I always get a dent in it before one full day is up. So hence the application is a little annoying but the colour pay off in this particular shade is WORTH IT! The dry time was decent but I have had other China Glaze polishes dry quicker but that being said, it still dried on a decent time line. If you are a nail polish addict I say it is a MUST HAVE because a polish like this doesn’t show up very often in collections or in releases so if you can hunt this one down – I would definitely recommend it! I am showing it as a manicure but honestly I wear this more as a pedicure during the summer months – it just always makes me happy when I look down and see a gorgeous baby blue neon polish staring right back at me. 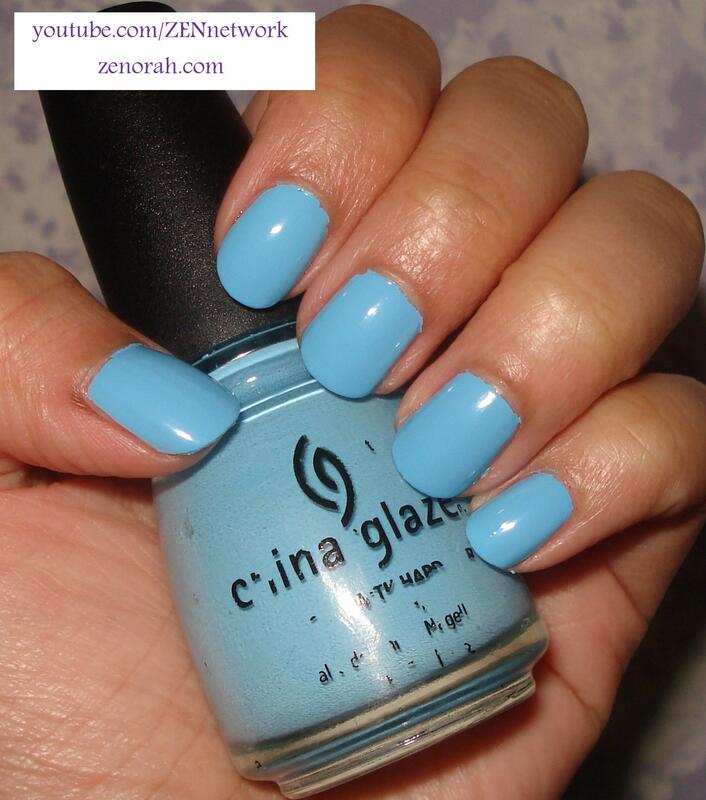 Do you own China Glaze Bahamian Escape? What are your thoughts on these nail polishes?